With every weather change, a home’s foundation experiences shifts. These variations tend to be negative ones, regardless of the year-round climate. Heat waves, cold fronts, storms, and humidity all belong to Mother Nature’s artillery; they beat homes into weakened structures. The following are ways in which weather contributes to the demise of a home’s foundation. Though a home may seem cozy on the inside during the winter months, its foundation may be gearing for a breakdown. As the soil under the foundation freezes and becomes compact, it puts pressure on the foundation, causing it to shift. Though the damage may be minimal at first, once the soil expands again in spring, the change can cause cracks to form in the walls and floor. Heavy snow can also compromise the strength of a foundation, especially if cracks in the walls are already present from previous years. A foundational shift manifests itself in doors and windows that suddenly cannot be opened and shut. The house itself may move, as its walls apply additional pressure to the already weakened foundation. Unless the overall climate is dry, summer often brings humidity. As it sets in, it becomes the silent contributor to the deterioration of any home’s foundation. Dampness causes mold, which inevitably breaks down cement and other crucial foundation materials. Aside from humidity, a home’s foundation is plagued by heavy rainfall during the summer. 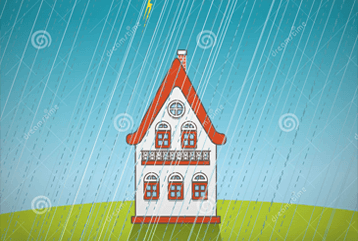 Unless droughts ensue, rainstorms are frequent during these months, and they can complete the demise of a home’s structural integrity. As walls and floors are broken down by heat and humidity, heavy rain introduces flooding. Once a basement floods, a greater opportunity arises for mold development. The structure will further give out from water damage. With each season, a home’s foundation faces unique perils. It’s important to monitor basements, windows, doors and walls in order to catch and repair minor weather wear as it arises.